were de-collared (these elephants had been collared in previous collaring exercises). The Kunene And Omusati Regions Of Namibia. 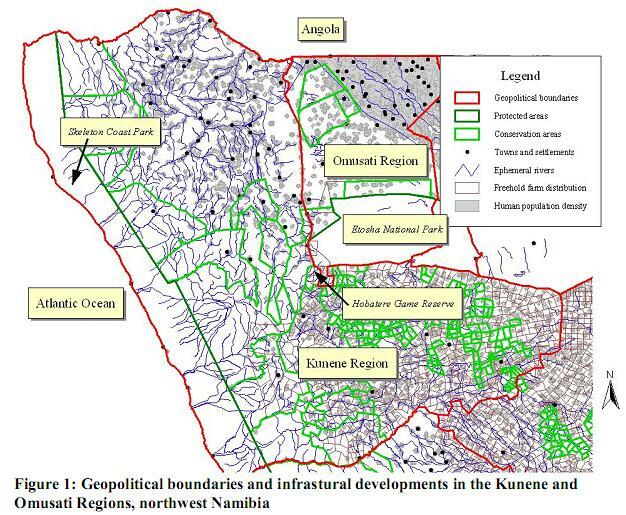 Kunene and Omusati Regions of Namibia. • Assistance to other researchers (Dr. Rob Ramey, Dr. Laura Brown, Dr.
(University of Oregon) on elephants. commenced and preliminary results are available. currently being sourced for this project. the Kunene and Omusati/northwestern Etosha areas of Namibia. 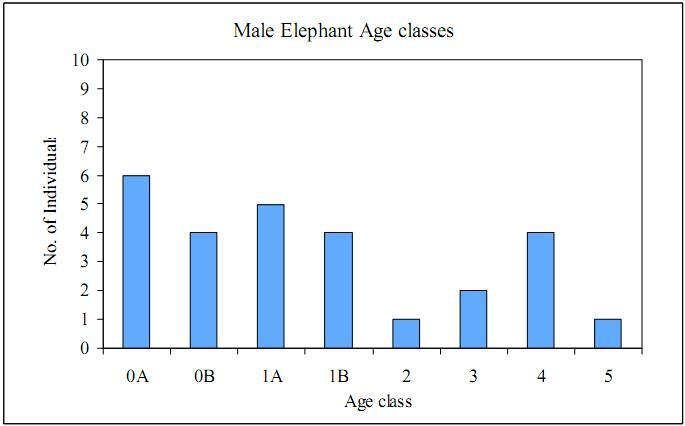 (1) Does the seasonal and home range of male elephant vary annually? (2) How large is the home range of male desert-dwelling elephants? (3) Is there a genetic bottleneck with regards to the desert-dwelling elephants? this type of analysis ineffective. Regions are presented in Figure 1. This is the first time that this elephant has been collared. EKM-07 is a mature male. 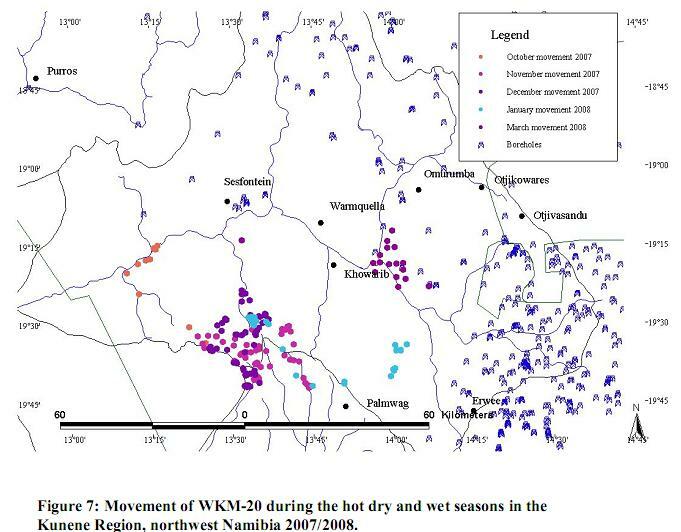 wet season data could be obtained. collar failed soon after fitting, so very few data points were obtained for this elephant. River. 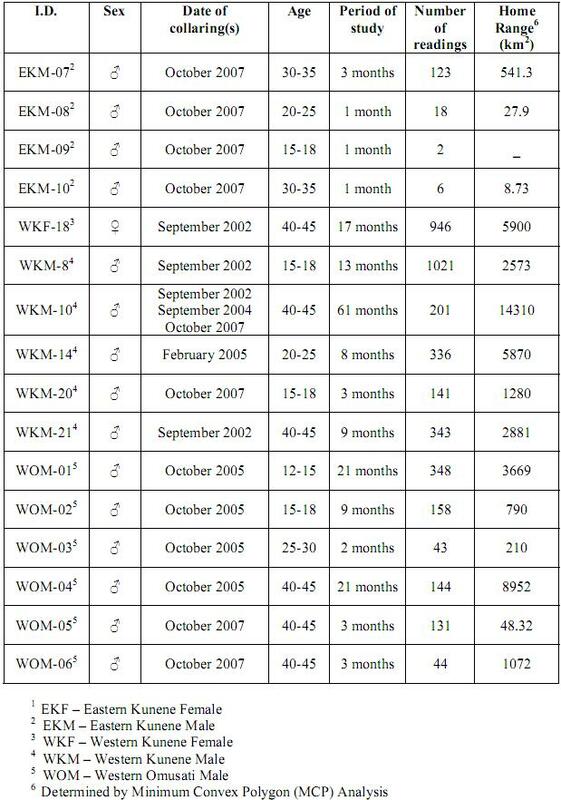 He moved to the eastern section of the research area in early February 2008.
seasons are shown in Table 1.
during both the hot dry and wet seasons are shown in Table 1.
range were fairly large before the collared failed (see Table 1 for details). 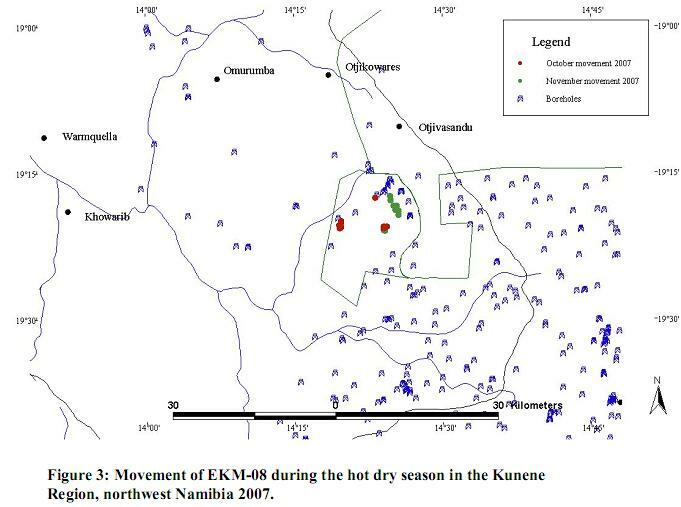 hot dry season 2007 and the wet season 2008.
submitted for publication and copy of the paper will be supplied in later reports. collared elephants in the Kunene and Omusati Regions of northwest Namibia. 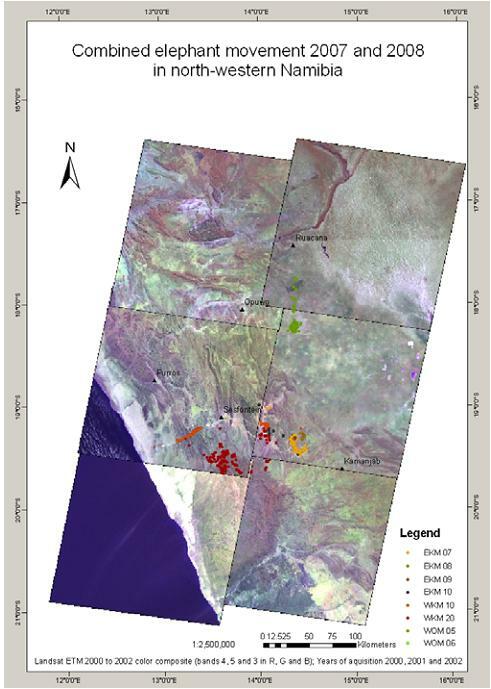 Table 2: Summary of current and previously GPS collared elephants in northwest Namibia . 4.4.1. Carry out identification, social and behavioural studies on resident elephants. 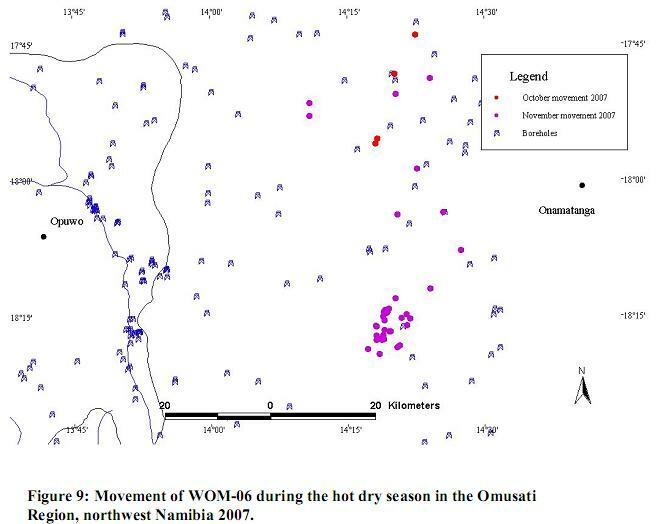 wider variation in climatic conditions that occurs in an arid region. if an elephant broke a tusk or if any additional holes or tears in the ears were noted. hours, data being recorded at 5-minute intervals (Kabigumila, 1993; Lee, 1996). be regarded as “walking” and not “walking/feeding”. the field during this period due to rainfall and flooding in the rivers. appear in the research area, they are identified, photographed and catalogued. whereas, in all previous years, browsing has been the dominant feeding activity. the total weight (using a digital 5000g scale) of the defecation event were recorded. left to air dry in the atmosphere for one month when it was re-weighed. seeds found in the dung were either A. erioloba or F. albida seeds. seed weight was determined to be 0.25g. 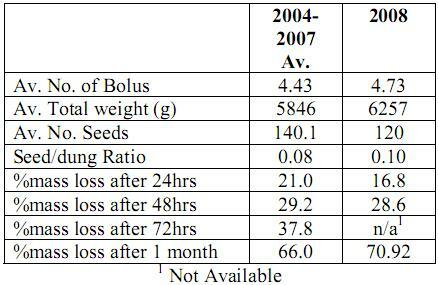 Table 3: Summary of dung results 2004-2008.
vegetation that was observed during this year. 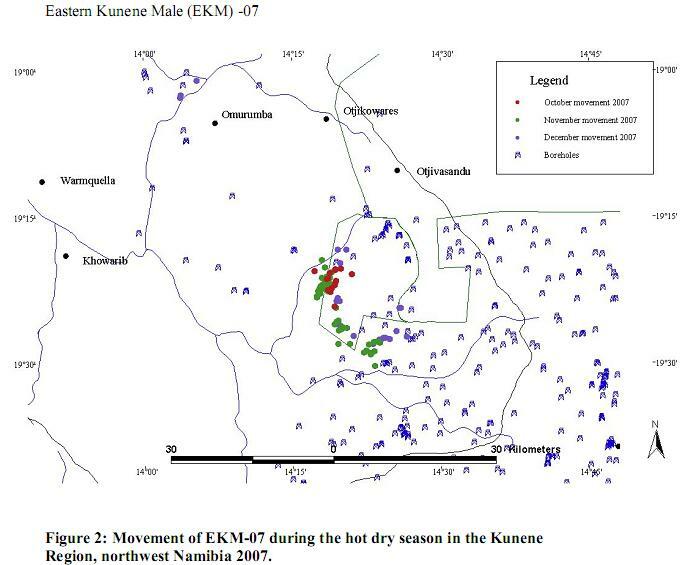 western Kunene, eastern Kunene, and Omusati Regions. 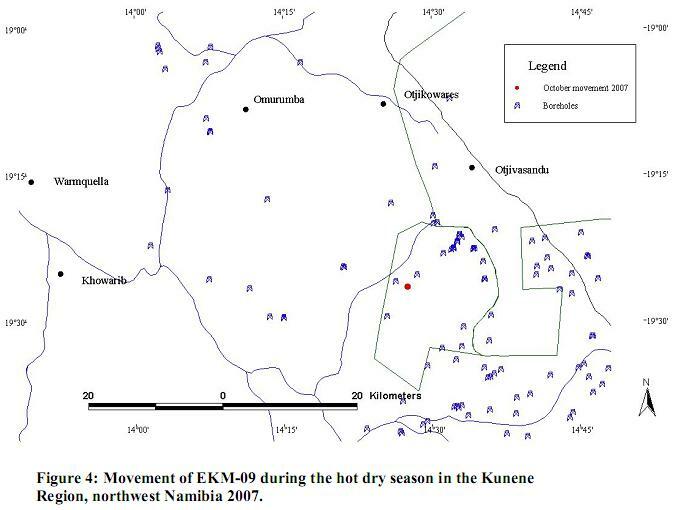 the ratio of males to females in the elephant population of northwest Namibia. observation and data recorded over the 10 years of study. 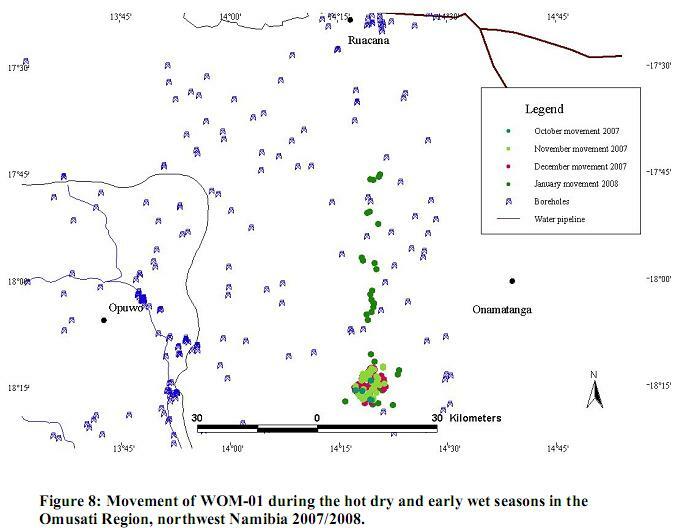 but there was also an arid climatic cycle that was affecting elephants’ behaviour. of nutritious vegetation on the females’ ability to conceive. 1980s. 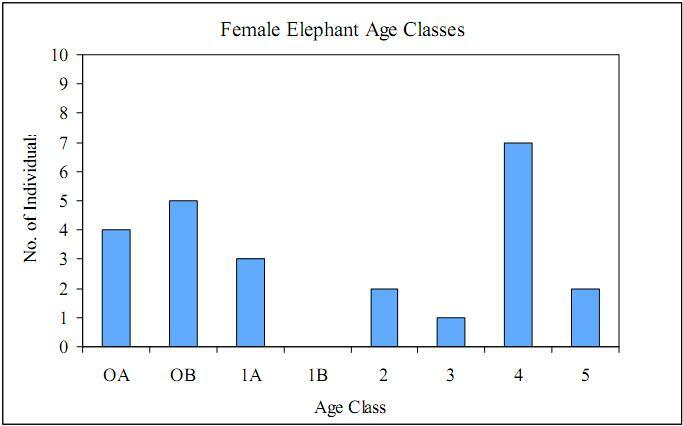 by contrast there are a large percentage of female elephants in this age class. 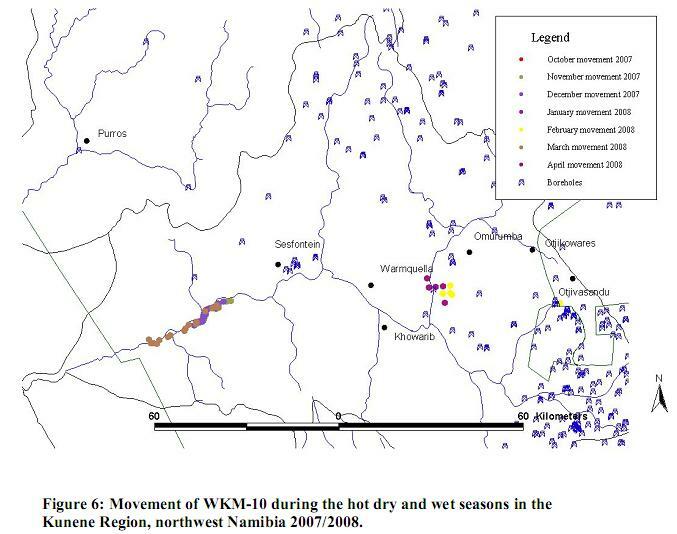 males under “normal” rainfall condition and periods of low stress. 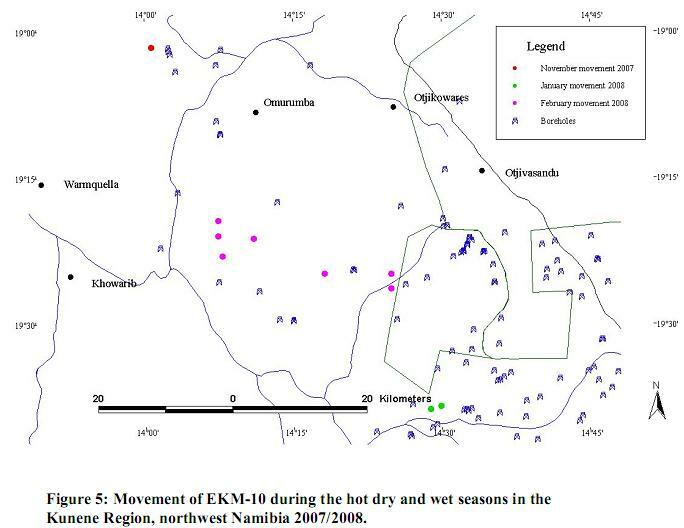 and one juvenile (2 years of age) were recorded during the 2006/2007 drought period. an above average rainfall year and no deaths were recorded during this year. sub-adult male were shot either on problem animal control or by local herdsmen. agreed to undertake a series of training seminars with local conservancy members. companies; at a later time, conservancy game guides will be offered the same course. Barnes, R. F. W. 1982. Elephant feeding behaviour in Ruaha National Park, Tanzania. African Journal of Ecology 20:123-136.
and Harvill Press, London. UK. Rhodesia. East African Wildlife Journal 14:285-295. Research Foundation of Namibia, Windhoek. Tanzania. African Journal of Ecology 31:75-80. National Park, Tanzania. African Journal of Ecology 25:255-263. Studying Elephants . African Wildlife Foundation, Kenya, pp 98-119. Paper, 15, 37-75. Desert Research Foundation of Namibia, Windhoek. Mammals . University of Chicago Press, Chicago. Elephants . African Wildlife Foundation, Kenya, pp 58-74.